Welcome to our latest newsletter we hope that you enjoyed your Bank Holiday weekend and that you managed to get out for a game of golf or two, at least the weather is improving again and the sun is making the odd re-appearance and the rain has certainly done the golf course good making that rough a bit more juicy! 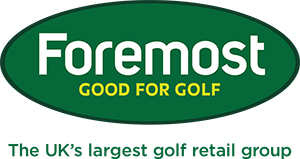 One of the best things we have done here at the club in the last few years is to build an indoor fitting studio equipped with launch monitor and all of the leading brands demo equipment and this week in our newsletter we will hopefully provide you with some sound equipment advice and bring home to you the benefits of custom fitting and how it can seriously improve your golf. 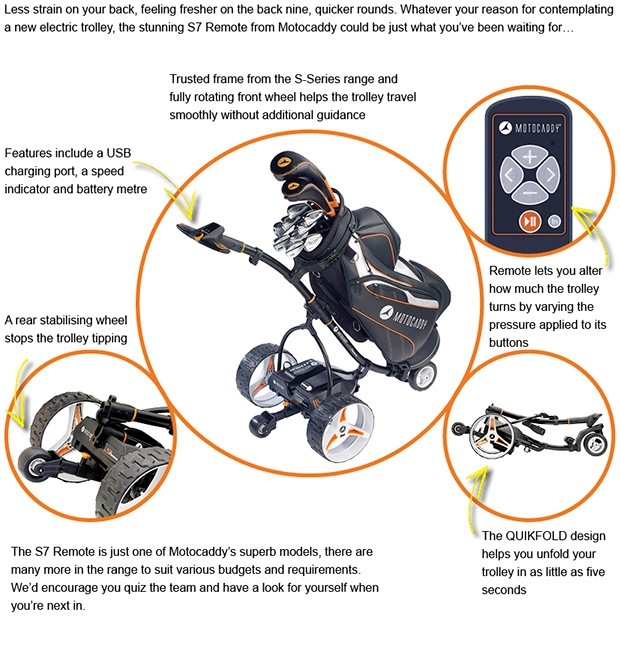 Are you thinking about buying a new driver? 1. The right driver head type for your ability - for example a lot of modern drivers are draw weighted or can be adjusted if you struggle with a slice - this would be a good option for you and there would be no point looking at a less forgiving model. Some of the 'better player' drivers are designed to launch the ball lower and can even have an open club face at address which would be the last thing you would want if you were a highish handicapper who hits the ball with a left to right shape! So first of all narrow the options down to driver head shapes and models that should suit your ability. 2. The shaft is the engine of the golf club - it's essential you get the right weight and flex to suit your swing. In order to get the right shaft you really need to know your swing speed and have an idea of your swing tempo with the driver. Choose a shaft too light or flexible and you'll over power the club causing too much whip in the shaft and making misses high and left more common. A shaft that is too stiff or heavy will slow your swing meaning that you will struggle to square the face at impact, shots will inevitably go low and right. As a general rule of thumb the quicker you swing the stiffer the shaft should be, the faster your tempo the heavier it should be. The array of shafts on the market now is huge and they can weigh anything from 40 grams up to 90 grams, so there is no standard 'regular' or 'stiff' shaft meaning that it's vitally important to get the right one. 3. The loft on the driver is also hugely important - many people go for too little loft believing that will give them more distance off the tee, however with less loft comes less forgiveness and side spin on the ball can be greatly increased. In addition with modern golf balls that don't spin as much you can launch your driver a lot higher and not worry about the shot spinning too much and being dragged out of the air. With a lower lofted driver you may hit the very odd shot further when you get a lot of run on the ball but the vast majority of your shots won't have the correct ball flight to maximise your distance or you will hit a lot of shots well off line. In summary the best way to find the right club for you is to have a custom fitting session with us, as you can appreciate from the points above it can be quite a minefield in terms of the choice on offer and getting the right driver head design, shaft and loft to suit you. 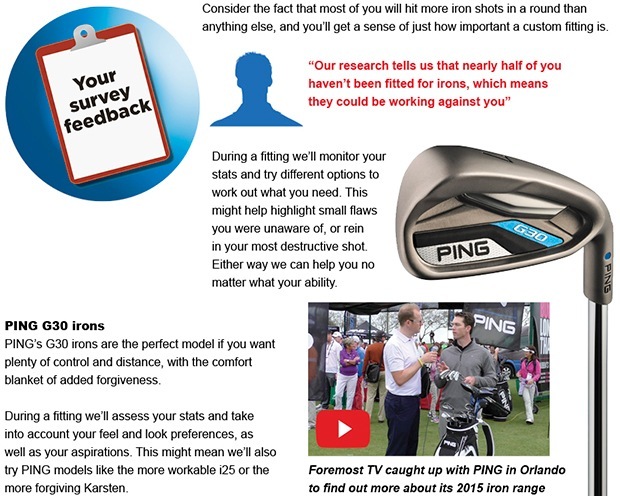 With a custom fitting session we can give you professional advice on what you should you use to get the most out of your swing, you will also find out your club head speed and try a number of shafts and lofts to determine which works best for you with launch monitor data providing the proof in the pudding. If you're serious about your golf you simply can't buy a new driver without a fitting, next week we will bring you some useful tips if you're thinking about buying a new set of irons. Contact me here to get your session booked in now! We've brought you plenty of custom fitting success stories over the last 18 months or so but we had one of the most striking improvements yet last week as we did an irons fitting for 19 handicap club member Pete Dawson. Pete confessed that he had only ever played golf with a set of old Wilson irons that he had 'bought cheap off a mate years ago' so I knew that a fitting for some modern irons could really help him but even I was amazed at the improvements that he made during the fitting! Pete hit some shots with his Wilson 7 iron first and it soon became obvious he wasn't maximising his distance or accuracy as the head was quite small and unforgiving and the steel shaft was far too heavy. We went with a PING G30 7 iron fitted with a graphite shaft and the improvements were immediate, the extra forgiveness of the head coupled with the correct lie angle and lighter more responsive shaft reaped massive rewards through straighter and longer shots. Initial shot direction (Azimith) improved from a figure of 2.2 to 1.8 degrees, so shots flew straighter as well as longer. To see his full set of results from the launch monitor, click here. Pete had done well to get his handicap down to 19 with clubs that weren't at all suitable for him and were very out-dated. Now that he has the right equipment there really will be no stopping him and that handicap will surely drop and he will enjoy his golf so much more! It's such a rewarding part of the job to see improvements and successes like this. What's more they are very far from a one off, you too can benefit from custom fitting and improve your golf! I am looking for a golfer who would like to volunteer for a FREE fitting session in which we can help you to improve your golf - by becoming my 'game improvement champion'. You have to be comfortable with us putting content on your progress into the weekly newsletter, and it does require some dedication from yourselves to improve your game, but the reward is certainly worth it to improve your golf and lower your handicap! If you're interested please contact me here. They say that matchplay tournaments can throw up some strange winners but world number one Rory McIlroy showed his class by becoming just the second player to win the WGC Matchplay title as the number one seed at TPC Harding Park in San Francisco last week. In his semi-final round, McIlroy sank a 44 foot putt for eagle against Jim Furyk on the 18th hole to advance to the championship match for the second time in his career, in the final he defeated a below par Gary Woodland who really struggled to hit the fairway with his driver. Rory underlined his position as world number one by remaining unbeaten in all of his seven matches. The victory marks McIlroy's 10th career PGA Tour victory and his second worldwide win in 2015. His first title came at the Omega Dubai Desert Classic on the European Tour in February. The May Medal was played on Saturday and weather conditions were far from ideal as a cold wind and heavy rain showers passed over the golf course. The poor weather didn't seem to put Alan Tayler off too much as he fired a brilliant nett 64. Alan has been playing some really solid golf recently and after a fourth place finish in last week's Inaugural Trophy he managed to take the Medal victory, well played Alan! In second place was Jonno Ness with a nett 66 and third place went to Steve Holehouse also with a nett 66. Steve had some real high points in his round and started with a brilliant eagle on the first as he hit a 6 iron second shot into four feet, he also had birdies on holes eight and fourteen in what could have been an even better round than it turned out to be. Thankfully the weather was much better for the golfers playing in the Bank Holiday Stableford on Monday and it was good to see a lot of new faces playing. Paul Foster came out on top with an excellent 44 point total, the Handicap Committee certainly noticed this good round as his handicap has now dropped from 26 to 22! On a day of good scoring second place went to Pauline Nevin with 42 points and third place went to in form Alan Tayler (41 points) who added to this high finish to his win on Saturday, not mention a handicap reduction down to 16. A special mention also to Beth Littler who was slightly nervous before she began as she was playing in her first ever competition, but she didn't need to feel too jittery as she played really well to return a fantastic score of 38 points, well done Beth! Look out for another Bank Holiday Stableford at the end of May. The next competition is the May Medal which is coming up this Saturday with a 12.04pm start time. This week sees the launch of a great new promotion in our shop in conjunction with Adidas, if you spend over £50 on Adidas clothing or shoes you will receive a FREE Adidas tour cap worth £14.99. This is a great offer and we only have a limited number of caps to give away so to claim your free cap you had better be quick before they all go! We have another one of our popular fitting days coming up with Titleist on Thursday, 4 June from 10am-2pm. You can book a FREE fitting from a Titleist equipment expert on any of the current range of the fantastic Titleist 915 metal woods and hybrids, 714 irons and the Vokey SM5 wedges. We will also have special offers available on the day on all of the Titleist range, so you can purchase custom fitted clubs and at a great price! You must book a slot in advance for the fitting day demand will be high and it will get booked up, we have just two times left available: 10.40am and 11.20am, if you would like to reserve one of these slots please contact me here. The seniors also played a home match against Sandbach on Tuesday. As with the away match a couple of weeks ago, the result was declared an honourable draw. It was good to hear many positive comments from the visiting golfers about the good condition of the golf course. Here is seniors captain Roger Wilkinson along with Bob Bowen and two Sandbach players on the first tee. We’re passionate about helping you enjoy better golf and to demonstrate how working with us will improve your game we’re on the lookout for a ‘Game Improvement Champion’, a golfer who we will offer a FREE game assessment. So, if you’re interested, and can commit to a course of lessons, and you’re a 14-handicapper or above, we’d like to hear from you. Confident we can help this golfer achieve their goals, be it better ball striking, lower scores or increased distance, we’ll be reporting their progress in our newsletter. Fill out the ‘Contact us’ link below and enter ‘Game Improvement Champion’ in the message box and we’ll select one lucky golfer in due course.